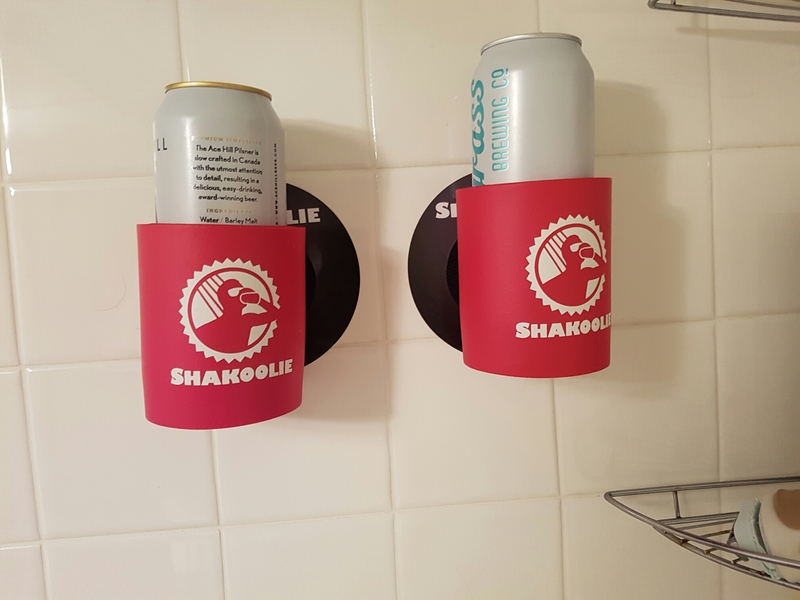 Shower Beer with Shakoolie – Making Showers Great Again! In these chaotic times, there is no better refuge than a shower. The glass door slides shut and the outside world fades away, the steam slowly hazing over reality until you are alone at last in your own private tropical rain storm, if only for a moment. Clearly in need of a shower beer. Now that the Wee Baby T is 3 months old, I find I have more time to relax with a good hot shower. It is a great opportunity to unwind and think about the day, make plans that I probably won’t keep, and draw rough sketches for renovation projects on the steamy glass doors. I’m still trying to draft a bookshelf door for my mother-in-law’s house, but it keeps fading before I can finish. You’re probably asking: How could one possibly improve upon such a wonderfully relaxing escape? Two words: shower beer*! Shakoolie is fundamentally simple. 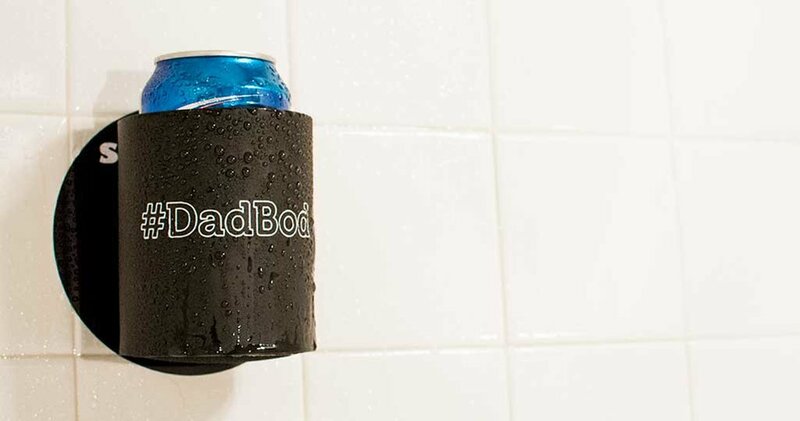 A beer koozy with a ‘hook-and-loop’ landing pad to keep your shower beer clear of unwanted splashes and sprays. The vinyl wall sticker is easy to apply to your shower wall, and can be removed from plastic or tile without any harsh solvents. Shakoolie makes a great gift idea for new dads, old dads, and dads to be! *When I need to be “responsible” I switch to Shower Near-Beers. Equally refreshing for when you can’t get your drink on. Although I received a Shakoolie with this post, I bought 2 myself years ago and use them as often as I can! Busch Light is my shower beer!